As one year draws to a close, whilst another waits in the wings, might I just mention the new Ghostwords TV project Chrissie Harper and I are collaborating upon, a fortnightly vidcast devoted to the horrific and darkly fantastic? More very soon, but for now, here’s a festive ho-ho-homicidal message from Valentine Dyal-Up. For those who haven’t heard yet, the latest issue of The Dark Side (#171) features my first work for Britain’s leading horror movie magazine this side of the Millennium. It’s good to be back. 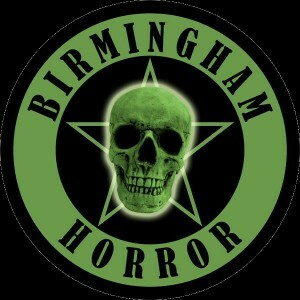 Back in November, I reported plans for the Birmingham Horror Group, and I’m pleased to report the first meeting took place as scheduled on 5 December, within the cosy confines of the Spread Eagle pub, Acocks Green. To make the evening even more memorable, honorary president Ramsey Campbell made a special appearance via Skype (you can see a short video clip at the Group’s website). The next gathering will take place at the same venue on Saturday, 2 January. In the meantime, Chrissie Harper’s design for our logo makes its debut to the immediate left.